Looking for a fun round up of spring kids crafts? Look no further! This fun round up is the perfect way to celebrate all things Spring! Spring is the perfect time to explore everything around you and bring the creativity of the fun outdoors indoors. There are so many fun projects one can work on with their kids that encompass the fun of spring. My kids are so excited about Spring because let’s face it snow has been in abundance this winter, so what better way to kick off this beautiful time of year. 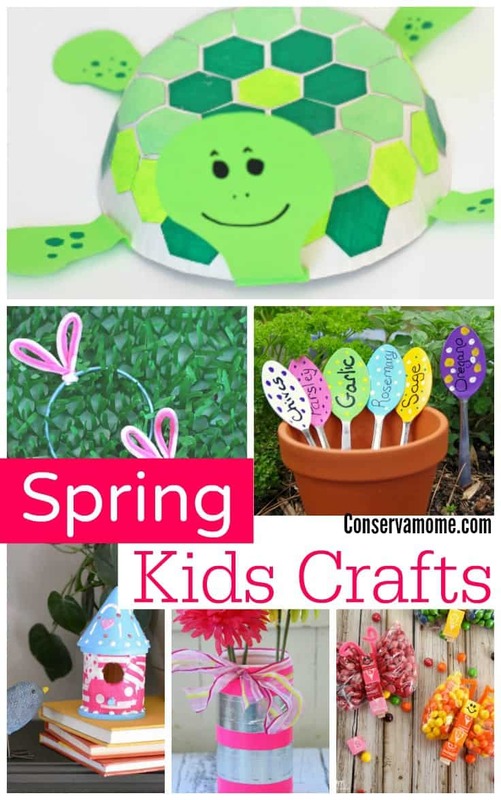 So check out this wonderful round up of Spring Kids Craft . These are some of my favorite hand picked crafts from around the web that will bring hours of creative fun for your children. Some will be so picture perfect you’ll love to fill your home with them as well. These crafts will be the perfect addition to some great fun. So head below and check out this wonderful list. or looking for some unique Easter Egg Decorations? Check out this fun round up as well. I hope you enjoy the fun in this round up,still looking for some more creative fun, Check out my Spring/Easter Pinterest board filled with all sorts of great ideas. My kids love making crafts and my daughter will be out of school in 3 weeks so im gonna save some of these to make during her summer break with my son and daughter thanks for sharing very creative! lots of cute ideas! i like the garden markers! Im always looking for craft ideas for my young grandchildren. I love the garden spoon markers. When my kids were little, we used to do crafts like these when our family got together for Easter.